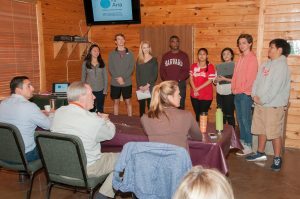 For over thirty years, Camp Enterprise has been an annual event for area high school juniors to experience the free enterprise system, explore the world of business and entrepreneurship and work on a Team that actually puts together a viable business! Camp Enterprise is facilitated by enthusiastic, qualified, adult professional entrepreneurs who provide stimulating and invaluable business skills and information. 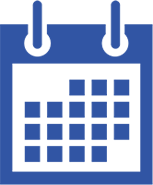 The students will be immersed in a three-day, fast-paced, intensive learning environment where the realities of business development will be explored and created. 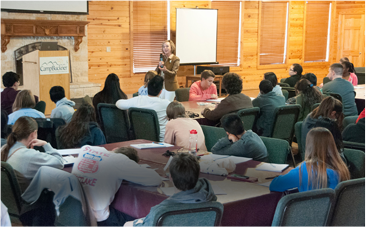 Camp Enterprise is a fabulous opportunity to practice team-building skills, collaborative problem solving, and to meet fellow students in Central Texas with the same interests. The goal of Camp Enterprise is to inspire students to become the next generation of successful business leaders and entrepreneurs for the City of Austin. High school counselors nominate students for interviews which are conducted by members of the Rotary Club of Austin. The interviews will take place in the fall of 2018 at the high schools. On January 25, participants will rally at an Austin location to board buses and travel together to Camp Buckner in Burnet. Participants will return to Austin via bus on Sunday afternoon January 27. All Camp Enterprise activities are supervised by adults. Identify Business-minded students you believe would be good candidates for Camp Enterprise. Rotary volunteers will come to your school and interview students.